ICBT City Campus was established in 2006 and it is located at No.317, Galle Road, Colombo 04. It is equipped with three buildings alongside the Galle Road with ample space with all amenities for its students and have a capacity to accommodate over 1,200 students. 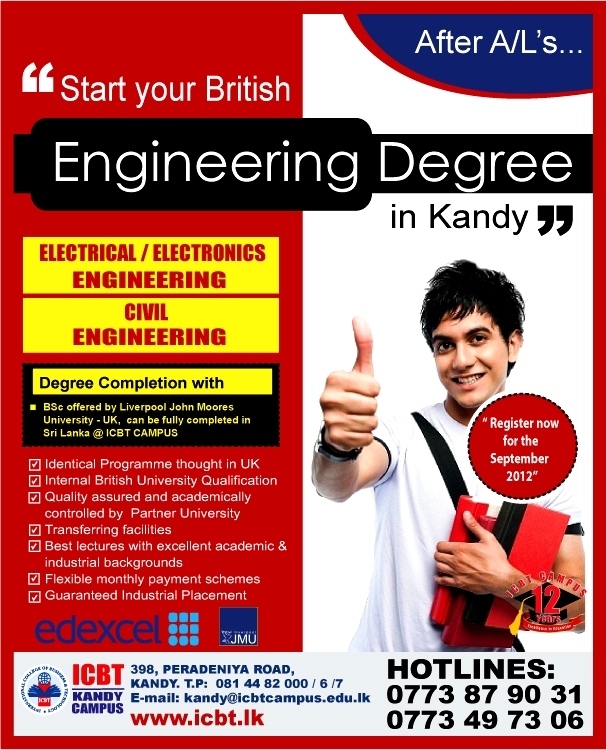 After AL - Start your British engineering degree in Kandy at ICBT Kandy Campus. Civil engineering is a professional engineering discipline that deals with the design, construction, and maintenance of the physical and naturally built environment, including works like bridges, roads, canals, dams and buildings. Electrical/Electronic engineering is a field of engineering that generally deals with the study and application of electricity, electronics and electromagnetism. British Higher National Diploma in Electrical / Electronic Engineering is a premium qualification to establish a sound career. ICBT Campus offers Higher National Diploma in Engineering and guaranteed Degree completion in Sri Lanka, UK or Australia. 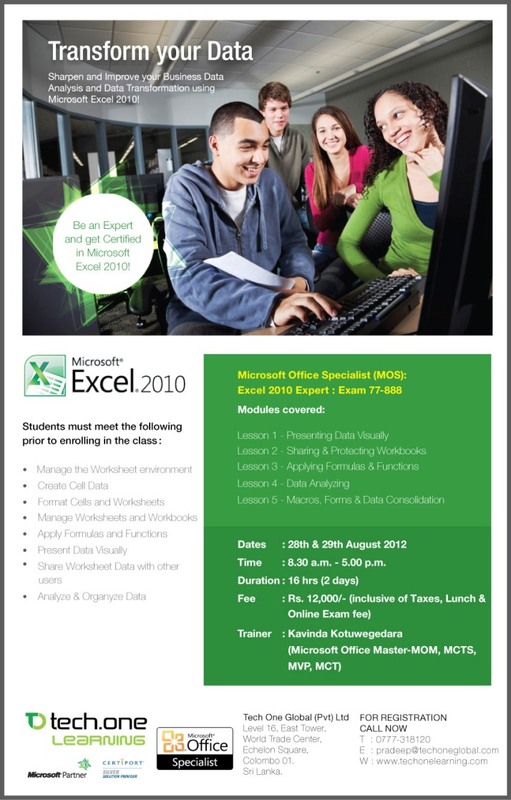 Microsoft® Excel® 2010 Expert teaches the information worker how to work with different types of documents using a variety of core and intermediate features to create and edit professional-looking spreadsheets for a variety of purposes and situations. Some topics may appear to be basic skill sets but are discussed in more detail, exploring at a higher level different options that can be chosen or applied for that skill set. Students who complete this course will have reviewed all of the exam objectives and be on their way to preparing for Microsoft Excel 2010 Expert Exam #77-888.